Paul Okoye is sorry, and now he deeply regrets that he brought his family issues on social media, and he is now asking his fans to forgive him. Paul while in a chat with Olisa Adibua on BeatFM, was asked about his sad family drama with his brothers, Peter and Jude. Recall, the brothers almost came to blows in their lawyer, Festus Keyamo’s office…. Paul said he wasn’t himself at that time, and now, he no longer wishes to stoke more flames. Despite being persistently probed by the hosts of the show, Paul refused to be drawn into issues bordering on Psquare. 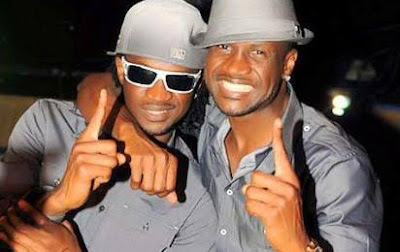 The interview also asked if he’d ever collaborate with his brother, Peter for PSquare again, and he simply said; “I don’t know”.